The Spaniard's first impressions, notably by Columbus, of Taino religion or spirituality was that "Los indios no tienen religion" the Indians have no religion. Undoubtedly making way for the Christian conversions to come. Soon though the Spaniards would learn that the Taino people did have ancient spiritual traditions and of course they tried to stamp it out at any cost. However, their curiosity was deep and would also have them attempt to record what they could of our ancestor's beliefs. In a sense, this was good because today we are able to trace back, identify what is and what is not Taino. 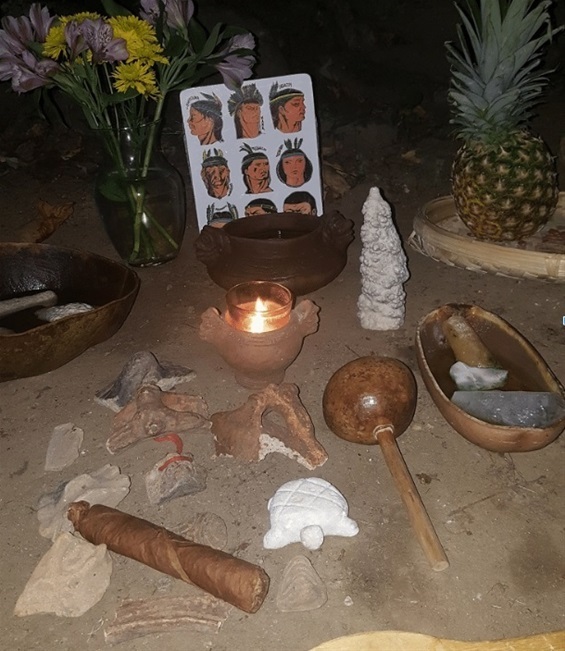 Also helps us understand the structure of our ancient beliefs as well as compare those beliefs that have survived to this day with that of our South American relatives.